I-90 & Geiger Freeway Interchange Development Land Priced at $6.00/SF Located at the I-90 Geiger interchange. Also, adjacent to the entrance of the Spokane International Airport Business Park. 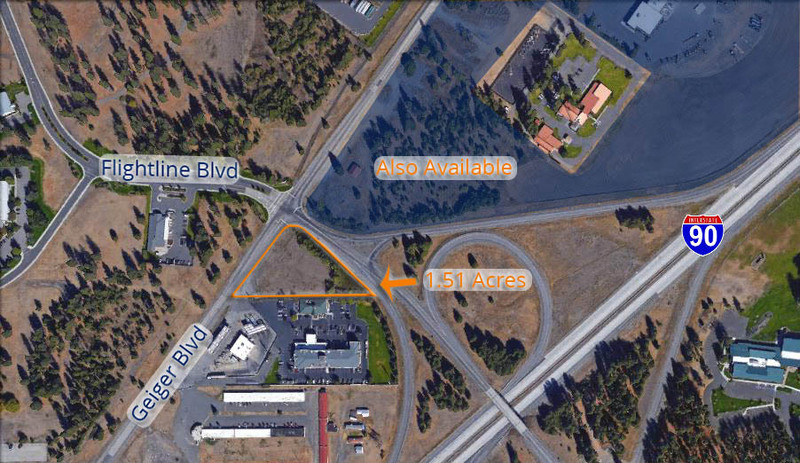 Property has extremely easy access to I-90 as well as the Spokane International Airport.